Listening to Tony! Toni! Toné!’s Born Not to Know in 1988, you’d have been hard pressed to guess that the skinny guy playing bass would go on to become perhaps the foremost neo-traditionalist in R&B. By the time Tony! Toni! Toné! released their debut record, Raphael Saadiq (born Charles Wiggins) had already done a stint (under the name Raphael Wiggins) as bass player in Sheila E’s live band, where he got to observe at close quarters another radical traditionalist by the name of Prince, for whom Sheila E was playing drums as well as opening on tour. But still, Saadiq’s love for loosely grooving old-school R&B and soul was obscured by his band’s adherence to the new jack swing formula. The clue is in its name. New jack swing was self-conscious about its newness, about its mix of old-fashioned street-corner harmonising and hi-tech drum-machine programming, synth squiggles and sampling. The individual elements of a percussion track on a NJS record were often so complicated and syncopated that it’d be a stretch to imagine a single human drummer ever being able to put them all together and properly recreate it. This was not live-band music: this music was programmed; only the vocals were performed. New jack swing’s moment passed quickly (by the time MJ released the NJS-influenced Dangerous, it was already becoming old hat), superseded by the more classic-sounding hip-hop soul of Mary J Blige, which relied heavily on samples from classic soul records, giving a less frenetic feel to the backing tracks and making NJS seem somewhat gauche in its raw energy. Hi-top fades quickly went out of style, as did the primary-colour wardrobe of NJS. Watch Will Smith in any episode of the Fresh Prince of Bel Air to remind yourself of the eye-popping NJS aesthetic. When En Vogue released their last single with Dawn Robinson on lead vocals, Don’t Let Go (from Set It Off), they were worlds away from their early sound and look: in was a piano line out of a James Bond soundtrack and what sounded for all the world like a live rhythm section; the only holdover from their early sound were the wah-wah guitars of which the group and their producers had apparently always been fond. The street feel of NJS had gone: the girls’ new image looked expensive, their new tracks sounded expensive. Robinson’s attempt at a solo career never got going, the cultural moment in R&B instead defined by R Kelly and his protégée Aaliyah, by Brandy, Monica, the back-from-nowhere Whitney Houston and the new critic’s favourite Lauryn Hill. And it was about to be seized by Destiny’s Child, still a record away from unleashing their unprovoked shock-and-awe attack on music itself but readying themselves for the fight to come. Robinson, then, was underemployed and so accepted an invitation from Saadiq into his new project with another figure from an earlier age, A Tribe Called Quest’s Ali Shaheed Muhammad, as a late replacement for D’Angelo, who’d just dropped out of the group. The reconfigured trio took the name Lucy Pearl. 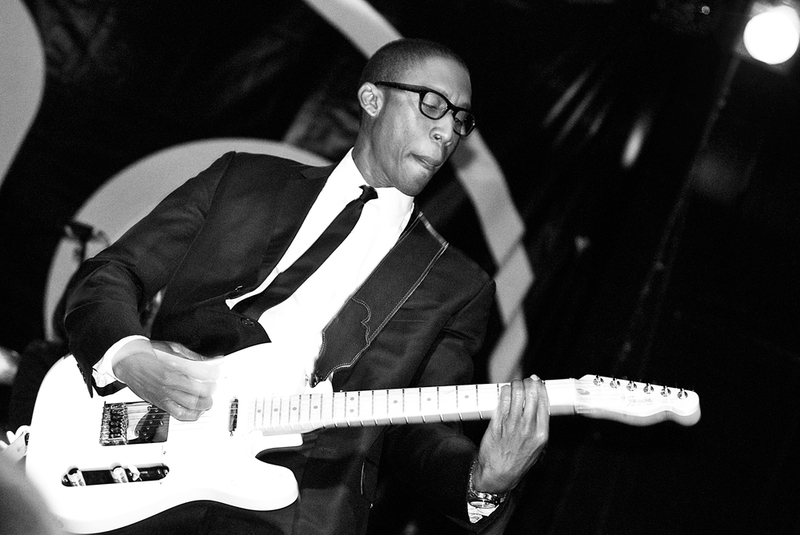 Saadiq was now pulling the strings, with no outside writers or producers to tell him what to do, so he could indulge his love for classic soul more than ever before, playing live bass and guitar on his own records in pursuit of a sound that split the difference between hip-hop and Motown. The group only lasted for one album but Saadiq was now on his path. He studied Mark Lewisohn’s book chronicling the Beatles’ Abbey Road sessions. He read everything he could find out about recording methods at Motown. His future solo records would be cut live in one room with a small band, just like it was the sixties again. His attention to detail is remarkable, his execution flawless. But perhaps he made his best music with Lucy Pearl, when he was layering his old-school influences over the foundations laid down by Ali Shaheed Muhammad. After all, it is not 1965, and never will be again. This entry was posted in Music and tagged A Tribe Called Quest, Aaliyah, Ali Shaheed Muhammad, Born Not To Know, Brandy, Dawn Robinson, Don't Mess With My Man, En Vogue, hip-hop, Lauryn Hill, Lucy Pearl, Mary J Blige, Michael Jackson, Monica, New jack swing, Prince, R Kelly, Raphael Saadiq, Sheila E, soul, Tony! Toni! Tone!, Whitney Houston on September 4, 2013 by rossjpalmer.